Chris Busch is the Founder and CEO of LightQuest Media, Inc. and former Chairman of the ORU Alumni Board. As a frequent speaker for civic organizations, business networks, and academic institutions, Chris is known in the industry as a revolutionary thinker and strategist. His insight into human nature and the role of media in today's culture has often been lauded for its precision and forethought. 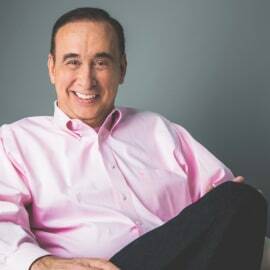 With several decades of experience as a successful entrepreneur, he understands the struggles that drive today's businesses, the passion of the people behind those businesses, and the techniques to create problem-solving communication strategies that reap results. Coupled with his firsthand knowledge from serving on staff for a major media ministry, as well as his work with churches ranging in size from the mega to the modest, he has an uncommon awareness about the seen and unseen obstacles facing ministries. As a keen observer of culture shifts and changes, Chris has an uncanny ability to predict how the media message will or must shift and how to steer his clients toward consistent connections with their audiences. Chris lives in Tulsa with his wife, Linda, of 45 years. They have three children and five grandchildren.